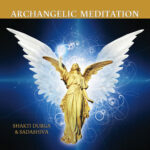 Shakti Durga | Spiritual Teacher & Master Healer / What are the 28 Jewels? What are the 28 Jewels? 28 Jewels is a powerful course that you can purchase online, download and do at your own pace. The practices shared in the course can evoke positive change in your life and as you grow you will become happier, more fulfilled, more peaceful and more joyful than ever before. The 28 Jewels has as a focus on the seven main energy centres in the body, sometimes known as wheels or chakras. For each energy centre you will receive a wisdom teaching, a healing meditation, a piece of sacred music and mantra. Through regular practice you may experience miraculous changes in your energy and your life. Find out more in the online shop.